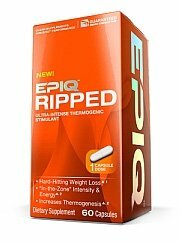 Epiq Ripped Review (UPDATED 2019)- Does it Really Work? Epiq Ripped Review – Does it Really Work? This thermogenic weight loss product markets itself to the athlete or gym rat who’s looking for that extra push in the gym and a more sculpted looking body. Featured prominently on the website is a chiseled body holding weights with mention of including diet and exercise for similar results. It claims it can put someone in an extra gear of physical energy and in turn this process helps fuel a better workout. There are positive reviews on the site that mention this product should be cycled, which is a term usually linked to banned substances meant to signify it should be taken intermittently for safe and full effects. So does this product satisfy the niche market? Let’s see what it can do. Iovate Health Sciences USA Inc, provides products similar to this one and they currently own a few supplement brands. A $5.5 million dollar settlement was reached due to the FTC finding Iovate exaggerated claims of fat loss and sickness curing for a few of their brands. The ads for these brands were featured on TV which prompted action by the FTC. The FDA also put them under question for their addition of ingredients in a weight loss brand that caused a minimum of 23 customers to experience serious liver problems and even one death. Iovate agreed to recall their products and the FDA warned to immediately discontinue use. Contained inside are two combined proprietary blends. One has 5 natural stimulants that are part of a thermogenic combination. Essentially they will increase body heat which will in turn burn off calories quicker thru increased metabolism. Also included in this blend are stimulants for an overall better mood and more energy. Most of the ingredients inside are versions of stimulants including 2 sources of caffeine that can have potential dependence and side effect issues. 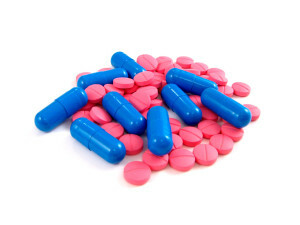 Supplements rich in stimulants may only provide a short term solution that quickly withers away. For wholesome long term solutions that aren’t addicting, strong and effective supplements exist with all natural ingredients. Green Coffee Bean Extract: Immature beans that are high in antioxidants and caffeine. Caffeine Anhydrous: Stimulant added in due to its low moisture and quick absorption. Green Tea Leaf Extract: An antioxidant rich tea leaf that is widely used for its stimulant effects. Yohimbe Bark Extract: Meant to stimulate libido and increase weight loss, taken from an African tree bark. Cayenne Pepper Fruit: A stimulant that has a spice element meant to increase metabolism. Raspberry Ketones: Meant to boost metabolism and in turn help produce a lean body mass. L-Carnitine-Tartrate: Created in the body, this amino acid is used to provide energy and help an overactive thyroid. Dandelion Root Extract: This herb helps urine flow and helps alleviate bowel problems. Dehydration, headaches, fatigue, insomnia, irritability, mood swings, difficulty concentrating, nervousness, diarrhea, increased blood pressure and irregular heart beat. Widely available in several markets, ingredients are offered in an easy to read list and has no artificial colors. There are several forms of stimulants that while effective in short term, the results also do not stick around. Common in these products is the addition of high levels of caffeine which of course cause a change in the body. It makes it hard to see though why this is expensive when it can be substituted by just a regular cup of coffee. Also the amount of stimulants does have an effect on the body but this is quickly adopted by the body limiting its reported weight loss properties. This is only a very short term solution and it relies heavily on addicting properties. Some may not handle the stimulants well. With a very specific person in mind that exercises this may not be the supplement needed. During heavy exercise which is what this product is intended to help, there is an increase in heart rate. This increased heart rate may prove troublesome as suddenly the caffeine kicks the heart into overdrive. Manufacturers history has been troublesome and full of lies and harmful ingredients that have even killed one person. Their settlement of lawsuits made it clear that the makers were willfully adding harmful ingredients. Also there are documented lies the FTC and FDA acknowledged over Iovates reported beneficial weight loss products. Since this is also a weight loss supplement it then calls into questions this product’s safety and effectiveness. Though the stimulants found here can produce effects in the body, it may not be the effects one is looking for. lt just isn’t a long term solution and even the short term effects may not be suitable for many looking for less potentially addicting ingredients. Considering the history of harmful ingredients and exaggerated claims in their weight loss products calls into question this supplement. Filled with a ton of stimulants and with a history of damaging ingredients and untruthful claims mark this product down a ton. Wholesome ingredients for all natural weight loss from respected companies are now offered. It’s important to watch over yourself and not be lured by what seems to be a powerful solution. Powerful can also be safe, and these all natural products are in supply for your weight loss ambitions. Whats better than Epiq Ripped?